It may start out with the simple explanation - “Boys will be boys!” It’s a phase many boys go through, so you probably didn’t worry much at first. Playground fights or physical escalation with siblings or cousins may not be cause for concern. But as your son grows older, it can be concerning to realize that maybe he isn’t growing out of a penchant for aggression. 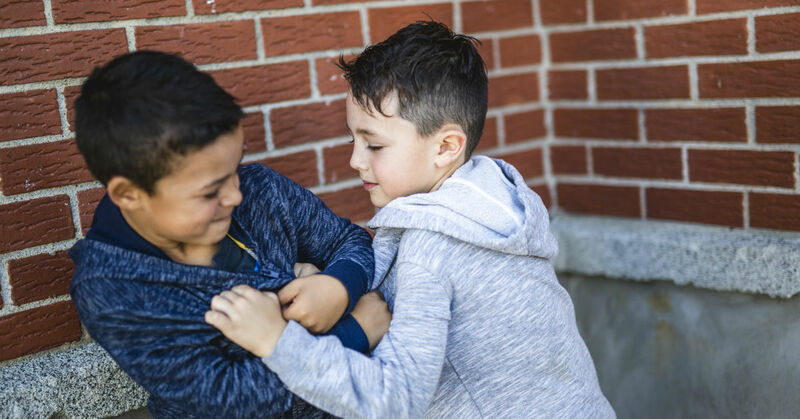 You are hesitant to label your son as “aggressive” or a “bully,” but often it reaches a more serious point where you can no longer ignore the issue. For many parents this event is a fight at school or a run-in with the law. It’s terrifying and confusing - what did you do wrong? What do you do now? An important thing to understand about teen aggression is that it doesn’t always manifest in school fights. Your teen may have shown signs of aggression in the past, or be showing signs of aggression now, without any actual physical altercations. It can also be the result of hormonal changes, puberty, response to overwhelming situations, or even mental illness. Probably the most critical piece of knowledge about aggression is that it does not cure itself or go away. Explaining that your teen is “having a tough time” or “just going through puberty” may give you temporary relief, but if the issue is not addressed your aggressive teen may graduate from anger to fighting to more serious issues such as criminal activity or gang affiliation. Watch for signs of aggression, such as slamming doors or throwing objects, yelling, attempting to control people or objects, pushing, bullying, frustration or emotional outbursts, and inability to get along with others. Communicate with your son. Tell him what you are seeing and how it makes you feel. Express your concern from a place of love, and ask if he has noticed his aggressive behavior or if he often feels angry or out-of-control. Teach calming and coping strategies, such as deep breathing, counting to 10, meditation, taking a walk, and emotional intelligence skills such as monitoring emotions and responses. Set rules & enforce consequences. If the aggression has resulted in behavioral issues - clearly identify inappropriate behaviors and assign them consequences. Similarly reward good behavior. Get help. Talk to teachers and counselors in your teens school if the issues are manifesting there. Outside counseling is another helpful option to uncover the emotional issues behind aggression. For most teens, however, if grounding and talking are unsuccessful then more intervention is needed. Therapeutic boarding schools can stop aggression in its tracks - protecting your teen and others while reprogramming the aggressive urges your teen feels. If you are concerned about your teen boy showing aggression, getting into fights, or controlling strong emotions - consider a therapeutic boarding school before it is too late. Don’t let your teen son spiral into the gateway of aggressive behaviors.